"SCIENCE AND EDUCATION FOR SUSTAINABLE DEVELOPMENT OF ECONOMY, NATURE AND SOCIETY"
It is a leading Italian University and one of the larger of North Italy. It offers broad diversity of programmes. USG deals with the issue of academic recognition and promoting LLL and then deals with various professional backgrounds and competences. The Grant contractor, Prof. Gustavo Capannelli, by the Department of Chemistry manages a consolidated postgraduate Course on the same topic of the project; this course, since its first edition, records extremely high employment outputs and it is organized in synergic action with local authorities and industries. Furthermore, USG has a long record of successful experience in the Tempus programme since 1996. MDX has 25000 students in four Schools including Engineering and Information Sciences. All Schools offer programmes at Ba, Ma and Doctoral levels. MDX has extensive experience and expertise in both Internal and external QA and Accreditation matters. In addition to the experience of the teaching teams in quality procedures, many academics serve on validation and audit panels in peer assessing other HEIs. All academic development and quality monitoring is informed by the National Qualifications Framework, the Code of Practice, Subject Benchmark Statements etc. In 2006, MDX received an excellent outcome in the maintenance of both academic standards and quality from the Quality Assurance Agency (QAA). For the last 30 years, MDX has been participating in a large number of European projects under the auspices of among other TEMPUS, Socrates and Framework programmes. Our network of University collaborators is over 100 Universities in EU and worldwide. The Department of Sanitary and Environmental Engineering which will be involved in the project offers subjects including the Chemistry of Water, Hydrobiology, Water Supply, Water Distribution, Water Treatment, Urban Drainage and Waste-Water Collection, Water Pollution Control, Waste Water Treatment, Sludge Treatment, and Waste Disposal. Design exercises, laboratory courses and fieldwork complement the instruction. It provides research and consulting services in urban hydrology, modelling of pollutants in rivers and reservoirs, thickening and dewatering of sewage sludge, hydraulics, hydrology and the chemistry of groundwater, determination of organic pollutants in water, upgrading the efficiency of water and waste-water treatment plants and assessment and control of their performance. The water chemistry laboratory, hydrobiology laboratory, analytic chemistry laboratory and waste water treatment laboratory support both instruction and research. The University was founded in 1958. Now the University comprises 4 institutes, 11 faculties, 40 departments, offers 44 training courses, leading to a Diploma of HE with different qualifications and 40 Master and 21 Bachelor programs in various fields, introducing the two-level education system. The University presents itself a system of continuous training, beginning with pre-university training up to doctoral studies (leading to the Russian Doctor degree award), which has it’s distant and international components. The university is involved in internationalization processes. The university subdivisions have about 45 projects with their foreign partners from many countries of Europe, USA, China, Japan in different fields of science and education. Much attention is paid to the EU educational programs. Since 2000 TSTU has participated in 7 TEMPUS-TACIS projects. As for ECTS application now the workload is calculated both in academic hours and credits points; TSTU issues the Diploma Supplement to its graduates since 2006. Among the faculties of the university there is a Faculty of Mechanical Engineering providing both environmental and engineering training. 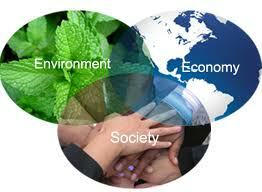 Chair "Nature Management and Environment Protection" is one of the leading in this direction. The staff of the chair is qualified and includes two Professors and 7 PhD senior lecturers. The chair has enough teaching and material resources 8 classrooms and lecture halls, one computerized classroom with 11 PC, the documentation centre. The new training program will open a new direction in the curriculum and give master students new knowledge allowing them to find a good job. Founded in 1830, it is one of the biggest and oldest technical universities in Russia with the annual enrolment of over 3,500 students and the total number of more than 170,000 graduates. BMSTU has a long-term experience in TEMPUS. Main teaching unit involved in the project will be the Chair of "Environmental Engineering and Industrial Safety" with 50 faculty members, including 6 full Professors and 24 Associate Professors, provides teaching students and supervising doctoral student’s research activities. Besides, for the last five years, 5 textbooks in environment engineering and industrial safety have been published. In 2009, 2 doctoral students expect to defend their dissertations, and the Chair is planning to launch a study programme for those degree-holders who would like to have a complimentary degree in Environmental Engineering and Industrial Safety. The Inter-industry Institute for Upgrade Qualification of BMSTU will provide training graduates employed by companies in chemical engineering and water treatment to enable them either to gain a new qualification being in demand at the labour market (management of quality systems for water treatment) or to be professionally developed. In BMSTU a Department of Education Quality has been established to provide quality assurance. Moscow State University of Land Use Planning (SULUP), RU. Currently SULUP is the special and largest HEI in Russia preparing engineers in surveying and land and municipal registers. The University trains engineers, architects, lawyers, economists to manage land resources and land market, land and real estate evaluators. University maintains close links with many HEI all over the world and participates in international educational programs and projects. The University was awarded by Gold Medal of the French Society for National Industry in April 2001. University employs over 300 of academics including ten full and corresponding members of various academies, 50 professors and doctors of sciences, 160 candidates of sciences. There are 9 Faculties (Law, Land Management, Municipal Cadastre, Land Cadastre, Architecture, Correspondence studies, Second HE, Further Training, Retraining, Military) and 23 chairs. SULUP teaching staff will participate to the development of the study programmes in "Environmental monitoring of enterprises with specific reference to water management". Vladimir State University named after Alexander and Nikolay Stoletovs (VlSU) traces its history to the start-up of the Vladimir branch of Moscow mechanical engineering institute in 1958. The University has about 30,000 students who are offered more than 60 courses in different fields. On their successful completion graduates get a diploma of a bachelor, specialist or master. The University implements quality assurance system. In 2009 Vladimir State University was one of the first Russian universities to be internationally certified by BUREAU VERITAS CERTIFICATION as meeting Russian standard ISO 9001:2008, with accreditation according to Federal standard R (Russia), ANAB (USA), DAR (Germany). Vladimir State University carries out collaboration with more than 40 universities of Europe, Asia, America, taking part in joint educational and research projects, arranging international symposia and conferences. 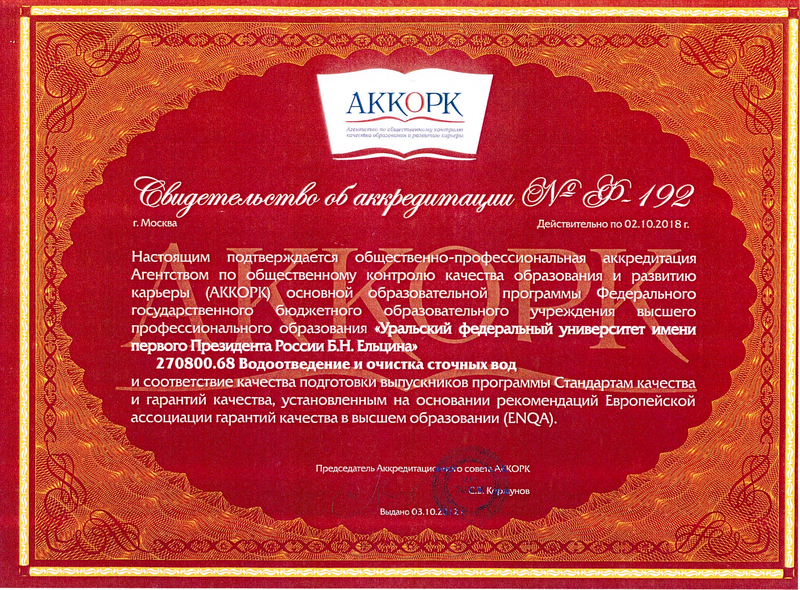 In 2007 the University got a grant for innovations in the field of educational activities for Russian universities. So it got an opportunity to equip its laboratories with new facilities, to get new software, and to provide qualification improvement of the staff. More than 100 PhD, professors of the university supervise research work carried out by 500 doctoral and postgraduate students. There are 7 Dissertation Councils at the University; one of the scientific magazines published at the University is included in the list of Higher Attestation Commission. SSAU is one of the largest agrarian universities in Russia with an 80 years history and is one of the best according to the rating held by Russian Ministry of Education. It is the leading educational, scientific and training centre in the South of Russia. The university offers the following study programmes: agronomy, agro chemistry and soil science, technology of production and processing of agricultural products, plant protection, ecology, veterinarian medicine, mechanization of agriculture, electrification of agriculture, international economics, accounting and audit, economics and management in agro business, financial management, marketing and others. There are 17.5 thousand students studying 72 educational programs, 400 PhD students. There are 8 faculties, 57 departments, 90 innovational laboratories. 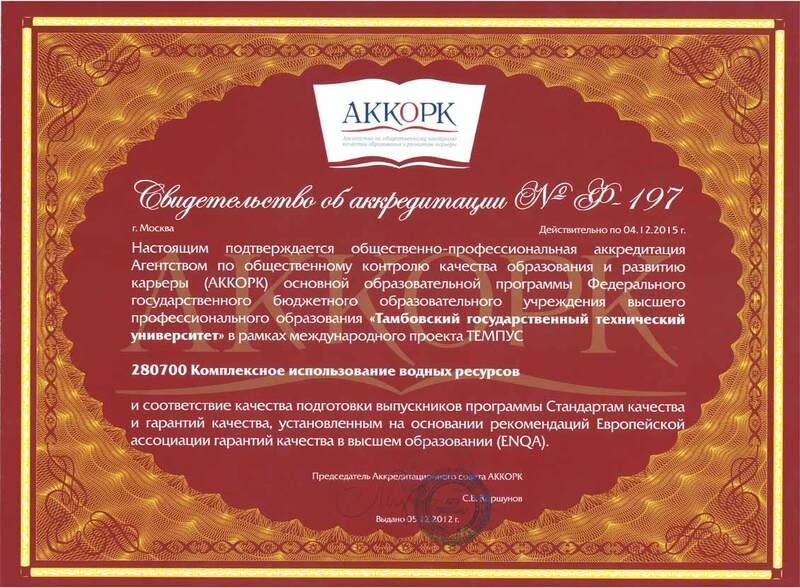 The University is a Winner of the EFQM Excellence Award 2011, the holder of the Russian federal grant “Innovational Educational Project”, member of Magna Charta, ICA, AEB, EFQUEL. Ural Federal University ranks among the major research and educational centers in Russia. This public university is one of the 8 Russian universities having federal status. 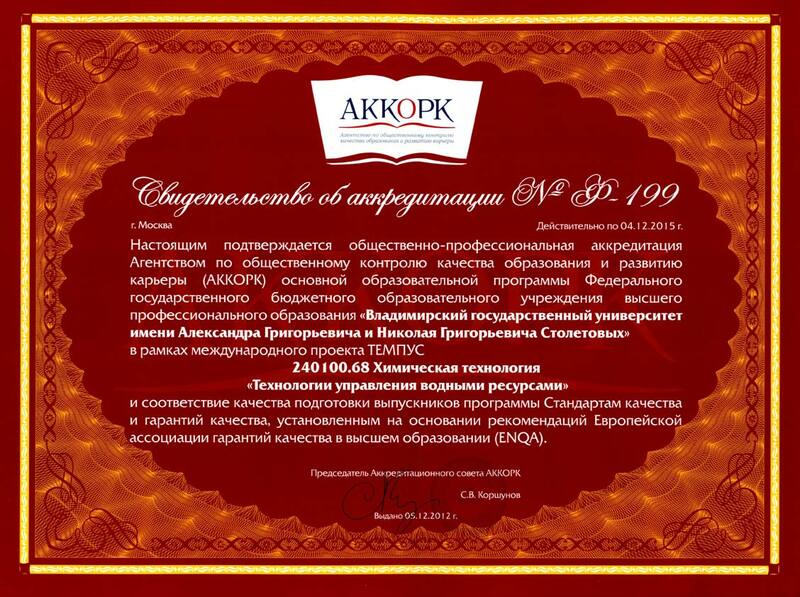 It was formed through the merger of two leading universities in Yekaterinburg. UrFU is composed of 17 institutes offering more than 120 Bachelor programs and more than 80 Master programs. The priority directions of the University development are: delivering the widest range of educational programs employing information and communicative technologies, creating a research and innovation cluster in the Ural Region, establishing strategic partnerships with employers and business representatives, integrating into international research and education environment. UrFU has a sound experience of participating in joint international projects (TEMPUS, ERASMUS) targeted at developing network Master programmes, promotion of the Bologna process, developing academic mobility networks.